Perth is promising to turn it on this 23-26 November! In partnership with the Government of Western Australia, Spartan Race is proud to be staging the epic, season-ending Perth APAC Trifecta Weekend. We can think of no better city to host Australia’s largest international Spartan festival. With a thriving and cosmopolitan city that boasts 3,000 hours of sunshine a year, Western Australians enjoy a vibrant culture, which embraces sport and the outdoors. Perth is a living postcard, so don’t miss the opportunity to make Perth your holiday destination this November, by extending your Spartan weekend. Experience all of Perth’s ‘must sees’ and ‘must dos’ in as little as five days, with the following suggested itinerary. Situated beside the Swan River, Kings Park and Botanic Garden boasts panoramic views and is one of the biggest inner-city parks in the world. Larger than New York’s Central Park, there are so many ways to enjoy its 400-plus hectares of sculpted gardens and natural bushland. Stroll the treetop walk, take an Indigenous cultural tour, picnic among the gum trees and in Spring, see the wildflowers in bloom. Other attractions include a stroll back through Fremantle history, Rottnest’s beautiful beaches, Western Australia’s oldest wine region, and the dolphin playgrounds of Rockingham and Mandurah. Come discover what makes Perth one of the world’s most liveable cities! 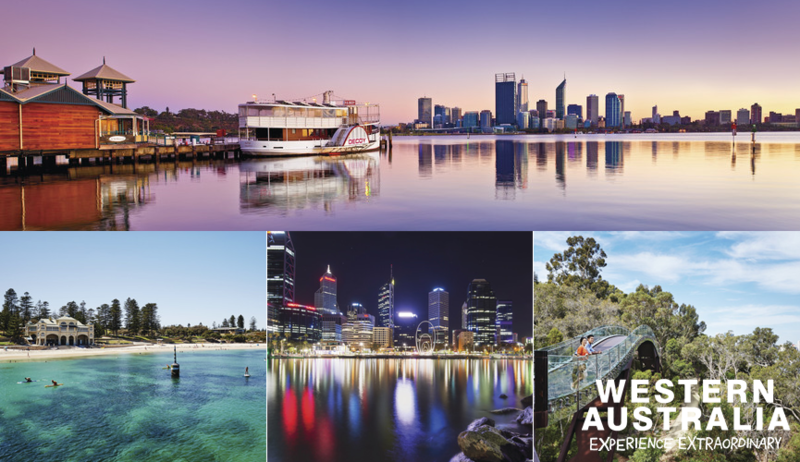 Click the links to the right to book your accommodation, build your holiday and find out more about what’s on offer in the surrounding regions of Perth!